One of the main questions I have been asked since returning from Samoa is: what was the food like? 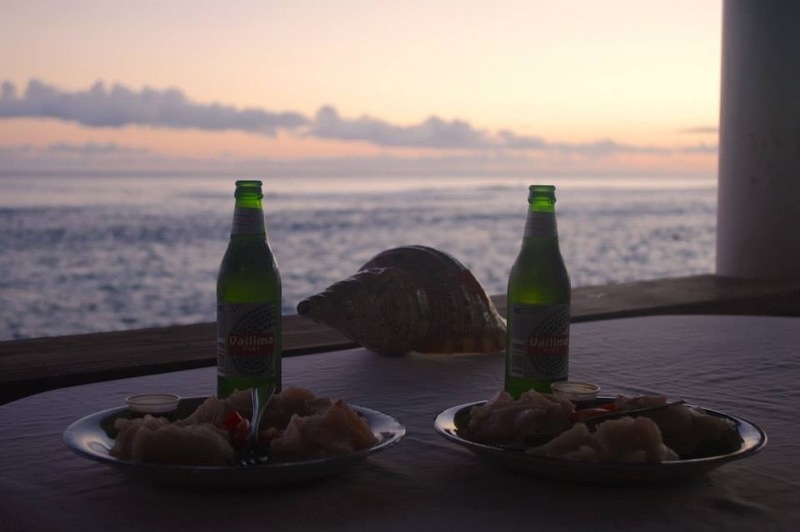 Being a tropical island and having the richest soil I have ever seen, one would expect lots of fresh seafood, served with the freshest produce. Although there is that potential, I don’t think they have figured out what to do with it. Don’t get me wrong. We did have fresh fish, but they only know how to cook it one way, grilled and overcooked. In terms of fresh fruit, there was a choice of papaya and, well, papaya. There was a never ending supply of coconuts. That was quite nice. Unfortunately they seem to have discovered MSG. Anything that involved cooking in a sauce usually tasted like it had MSG added. And then there is their favourite take away. Uncle Bill’s chicken. Think KFC deep-fried three times more. Of course we had to purchase a family pack between the two of us. Personally, I could not function for the rest of the day. Funnily enough we were craving it a week later. You’ll be happy to know we managed to avoid another visit. We did have decent meals where Australian or New Zealand chefs had made their mark. It was nothing overly special though. Just Western food cooked well, but not necessarily with the fresh produce from the village, as we would have expected. We experienced the umu three times. This is the traditional way for Samoans to cook and involves placing hot stones over a fire. 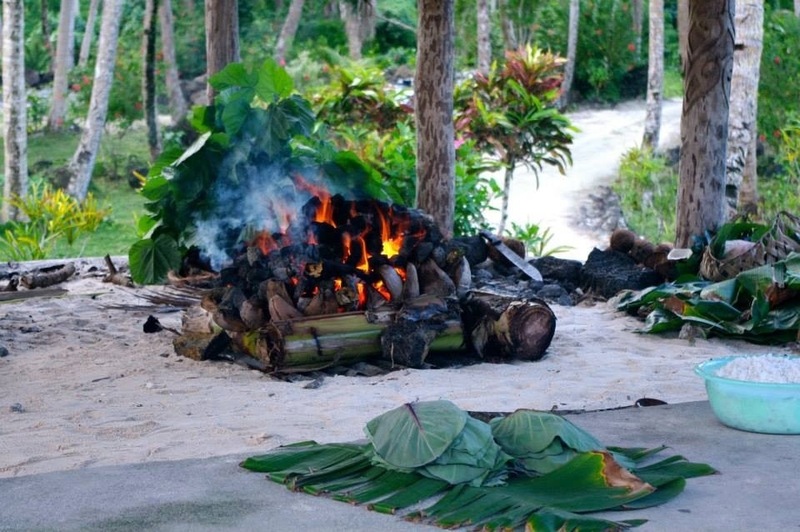 When the fire is turned into embers, food is placed on the rocks and covered in banana/taro leaves. We had whole pigs made for us, taro, breadfruit and lu’au. Lu’au is the taro leaf cooked in coconut cream. That was my favourite. Of course, with the abundance of coconuts, the cream was not going to come out of the can. Another one of my favourites was the Supasui – their version of chop suey. Absolutely delicious. We also experienced their traditional oka. Known in other cultures as ceviche. That is small pieces of fresh fish marinated in lime (until the acid cooks through) and mixed with coconut cream, onion and salt. This is one of our favourite ways to prepare fish at home. So if you visit Samoa, I recommend finding as many umu preparations as you can. 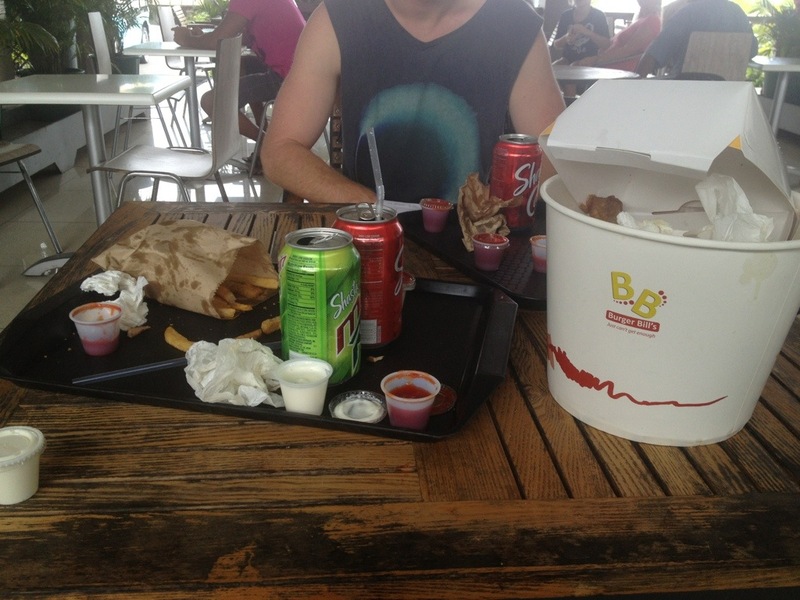 Otherwise the food is rather unimpressive. Or, do what we did and catch a fish to have prepared as sashimi. Being raw, it can’t get overcooked. I’m not going to lie, we did have some pretty amazing sashimi that was not self-caught. However, we had to beware of where and when the fish might have been bought. 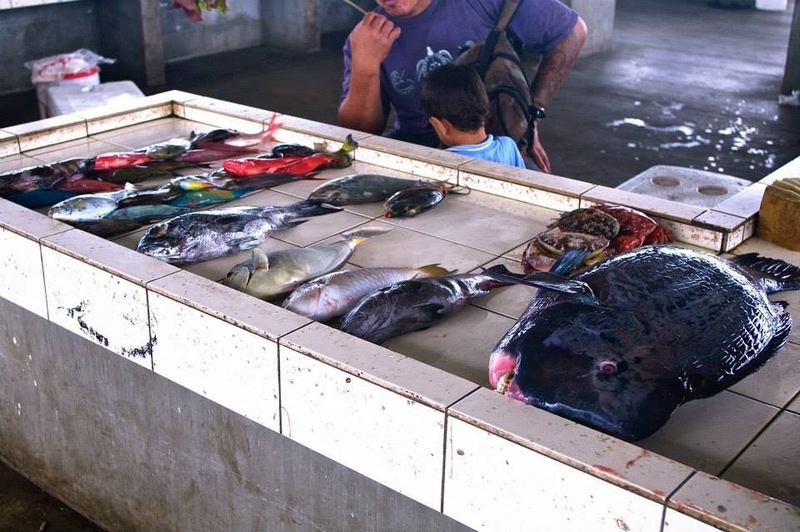 The fish at the market sit on a bench all day, without anything to keep them cool. We didn’t have any problems with quality where we were, but had a good idea about the freshness of the fish before ordering it. 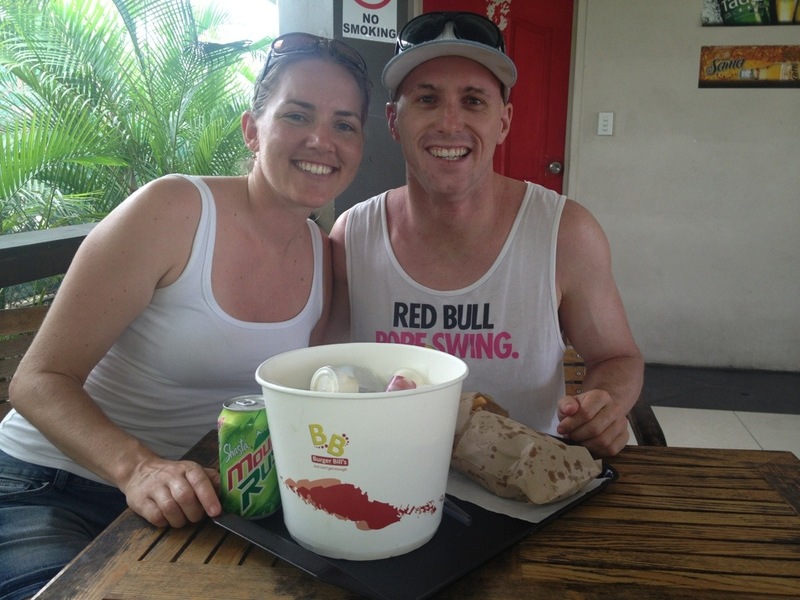 All in all, Samoa is not the place to visit if you want to eat magnificent meals all the time. However, their traditional ways of cooking are delicious. The country also has so much more to offer than food, it did not bother us that we weren’t eating Michelin star food. A bigger variety of fresh fruit would have been really nice. Haha yeah…. There were some big ones at uncle bills that’s for sure!! Thank you.